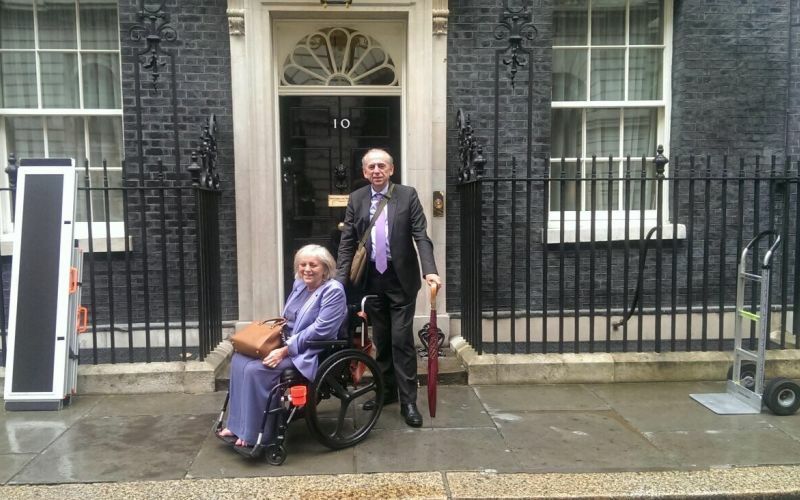 A disabled access expert has questioned why 10 Downing Street – which has one of the most iconically-inaccessible front doors on the planet – has been presented with a high-profile access award. Images of the front entrance to the prime minister’s home and offices – with its two steps to the front door – are shown every day all over the world. But despite staff needing to bring out a portable ramp if a wheelchair-user wants to enter the grade I listed building through the front entrance, 10 Downing Street was presented with an award at last month’s Blue Badge Style Awards. The awards recognise venues that have “made an effort to attract guests with disabilities”, and those nominated are rated on their style, facilities and accessibility, with other winners including the Ritz Carlton in Wolfsburg, Germany, the Beaumont Hotel in Mayfair, and the Dandelyan cocktail bar on London’s South Bank. The citation for the “above and beyond” award said that 10 Downing Street had “pulled out all the stops” on access. Historic England – the government-sponsored public body responsible for “championing England’s heritage” – told Disability News Service this week that it had advised the Cabinet Office on recent access improvements to the building, including a new internal lift, but that so far there had had been no discussions about the steps at the front entrance. Tracey Proudlock, founder of the leading access consultancy Proudlock Associates, and a former government adviser on disability equality, questioned why 10 Downing Street had been handed an award. She said the need to use a ramp at the front door showed that 10 Downing Street had not gone “above and beyond” on access, and she contrasted it with the “great thinking” that had gone into the “creative” access work at Canterbury Cathedral. Proudlock said that front doors are often symbolically important on access. She said: “In terms of Number 10, it is where you deliver your petition or go in to get your new ministerial job. “I think the entrance to Number 10 is really symbolic. “At any front door, disabled people don’t want to be treated differently and that is still happening here. “No matter how quick they are at deploying a temporary ramp, it’s still not an inclusive provision. 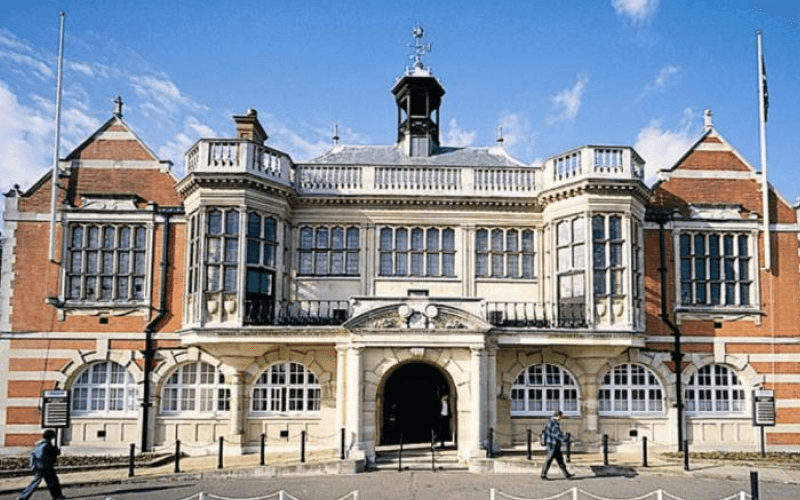 Proudlock said that just because a building had grade I listed building status, that did not mean that features such as steps to a front door could not be removed. Earlier this year, she wrote in her blog how the Bank of England had come up with an ingenious solution to provide level access at its historic front entrance. “Everyone blames everyone else for why it ‘can’t be done’ or ‘isn’t worth doing’. This includes improved accessible toilets, “increased ramping”, and a new lift providing access to the state rooms. She said the front door was “manned by a custodian constantly, meaning that it is accessible 24/7 to those who require the use of a ramp”. But she had failed to say by noon today (Thursday) whether there had been any discussions about removing the steps at the front entrance. Historic England confirmed that the Cabinet Office was “rolling out a programme of improvements to the grade I listed complex to proactively address disabled access”. Another spokeswoman added later: “There have not yet been any formal discussions with Cabinet Office about alterations specifically to the front steps of Number 10. Fiona Jarvis (pictured, outside 10 Downing Street), founder of Blue Badge Style and a wheelchair-user herself, said the award recognised the effort made by 10 Downing Street in recent refurbishments. She said in a statement: “They now have stylish toilets for people with disabilities on every floor and stairs that turn into a lift, allowing people with disabilities to get from the main building to the rest of the rooms more easily. “Immediately you arrive they come out with a portable ramp, which means you can negotiate the iconic front steps which are tied by a grade I listing. Asked why the award had been given when the front entrance was so clearly inaccessible to wheelchair-users, a spokeswoman said that Jarvis “recognises the issue with the steps, but her experience was that [because]they got the ramp out so quickly, there wasn’t a problem getting in to the building”.